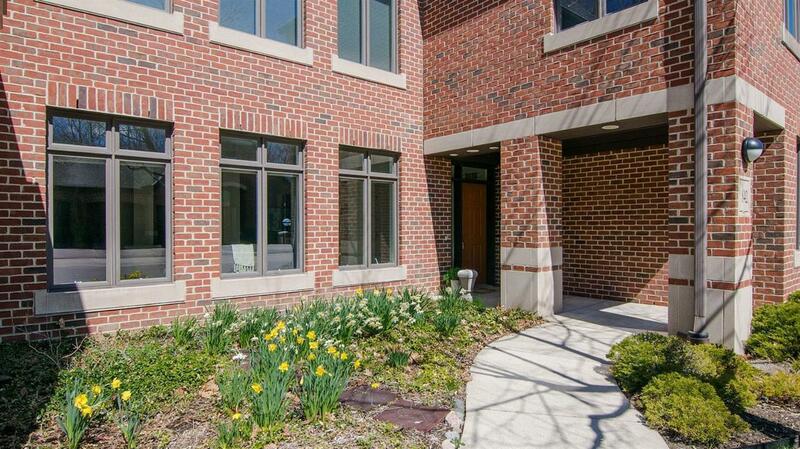 This spacious end-unit condo in University Commons offers all living on one floor. Elegant and bright with hardwood floors, new carpet, and fresh paint, this home is truly move-in ready. 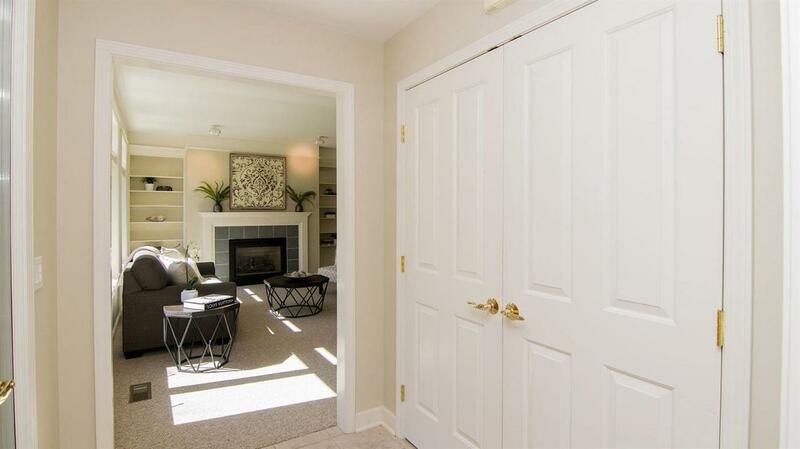 Open living room has over-sized windows, cozy gas fireplace & built-in bookshelves. Spacious formal dining room is great for entertaining. Large kitchen has newer appliances, tile floor, pantry space, and breakfast area. Adjacent is a laundry room with sink, overhead cabinets, and storage space. Luxurious master suite has a beautiful tile bathroom and a walk-in closet with organization system. Second bedroom has a huge walk-in closet for even more storage & full bath. Enclosed stairway leads to the main building where you will enjoy on-site cultural events and other activities. 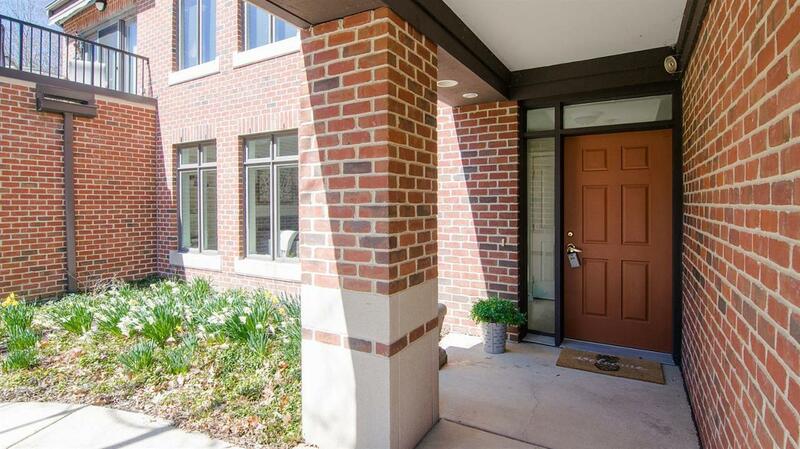 University Commons is a unique 55+ active adult community that provides extensive educational and cultural programs along with a perfect mix of private accommodation and a community feel.